Today, all services of the General Council gradually integrates these objectives in their missions. The Haute-Savoie Energy Plan was developed in 2008 to implement actions such as the shuttle system „Mobil'Alp“ (also a European project), the study of potential biogas or wood boiler to support collective heating. the second is to facilitate a collective dynamism at the territory level by a local animation, to involve communities, private sectors and civil society on key issues of climate change struggled. It is in this context that the General Council, wishing to fully assume its facilitation role of departmental policies, agreed to be part of the European EnercitEE programme : in order to offer communities and the general public ways to implement actions for the protection of environment. preparing the transfer of experience to other regions. 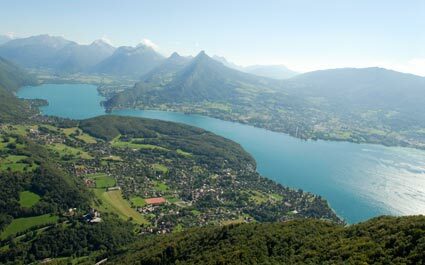 To ensure this linkage between global and local levels, the General Council of Haute-Savoie wanted to be involved in the European project of EnercitEE.